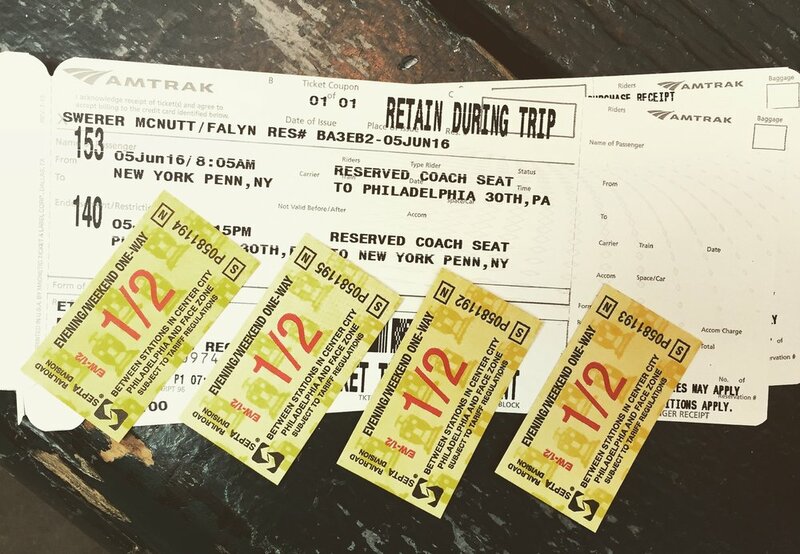 Several months ago, I was granted the opportunity to take a trip to Philadelphia to attend The 2016 Brazilian Jiu Jitsu Lemon Roll. My Renzo Gracie teammate and friend, Falyn Swerer, had recently joined a movement called Josei Heishi Jiu Jitsu, which aimed to recognize and empower all women in Jiu Jitsu.The Lemon Roll was being held by Leeann Morris, the creator of the organization, as a means to benefit Alex's Lemonade Stand. Falyn was a newly christened ambassador, and was intending to go support the event. She invited me along to meet "one of the most motivated women [she] had ever met in her life." Another teammate and generally badass lady, Maeghan, had also became an ambassador, so I was interested in finding out more. Intrigued, I woke up at 5 am on a Sunday to make the trip to Pennsylvania from New York City and find out more for myself. Upon arrival, Falyn and I were instantly greeted by smiling faces. The Lemon Roll was being held at the academy Morris co-owned, World Class Martial Arts, and the entire place was packed. Food was displayed in the front, along with a host of chairs for parents and friends to sit and watch the athletes roll. On the mats were dozens of individuals grappling with one another. I was struck to see several children on the mats as well, rolling with adults. A young girl in a pink gi and silver and black belt eagerly slapped hands with an older woman, and then proceeded to shoot for a single leg takedown. Once she brought her partner down, she went to work on getting her grips on the collar and sleeve. All the while, upbeat music played in the background, occasionally interrupted by raffle winners being announced. Leeann walked up and received the both of us with a warm embrace. It seemed as everyone wanted a piece of her--the younger students that passed by would entangle themselves with her by hugging a leg as she spoke affectionately to them, men who just walked off the mats with gis drenched in sweat would pat her arm and ask her to save them a roll, and the many women in the academy would call out to her and ask when would she step back on the mats because they were eager to train with her. Ever the practitioner, Falyn rushed to the changing room and emerged in a blue gi. She winked at me as she bowed before she stepped on the mats. As soon as her feet touched the blue spongey floor, she was whisked away by a partner. Every time I would look in her direction, I'd find her in a whole new position. While Falyn trained, I explored the academy as I waited for Leeann so that I may conduct our interview. The walls were littered with medals and awards, as well as cartoons of Morris and the other instructors. There was Josei Heishi gear laid out on the booths, as well as fliers for the Lemon Roll. I wrote our names down on the donation slips and was in awe of just how many people had attended or donated. Several volunteers were busy keeping the eating area clean or facilitating the event. Leeann herself was acknowledging every person that came through the door, as well as patting her helpers on the back and thanking them for their time. As soon as there was a brief lull, she strode towards me with a large smile. "How about that interview, huh?" We walked into her office, which also had several plaques and certificates of achievement hanging. In the small space, I could feel the thumping of music outside and heard people laughing. Leeann sat in front of me, looking comfortable and friendly. "I couldn't begin to tell you what this means to me, to have you ladies come out! All the way from NYC! Really, this is an honor for us to have you here." She leaned forward and spoke passionately. I was surprised! Here was a woman who had accomplished so much and consistently empowered others, but felt honored to have us come to her event. As I continued to speak with Leeann, I learned that her mentality and humility was the core of what Josei Heishi was about. 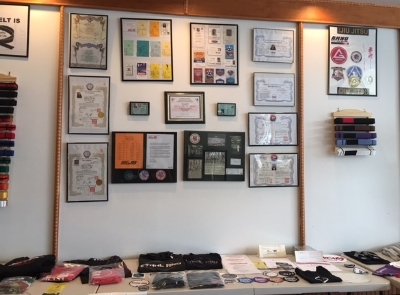 As a business owner, instructor, wife, and mother, Morris had originally begun her martial arts journey more than twenty years ago. A 4th degree black belt in the Korean martial art Tang Soo Do, she originally didn't want to be involved in Brazilian JiuJitsu. She had been content with doing Tang Soo Do and didn't want to interfere with that training. It was only within the last six years, at the urging of her husband, that she began practicing and quickly fell in love with the sport. "Here's why I think it's so important," Morris animatedly began, "Because most fights end up on the ground. If you're a woman, and someone assaults you--yes, you can kick and punch--but there is a high likelihood that you will be taken to the ground. It is so important for a woman to know how to defend herself, and knowing Brazilian JiuJitsu is one of the best ways of doing that." Josei Heishi arose out of this mentality. The words mean in Japanese "female soldiers", and it was important for Leeann to share her ideology with others. "It's all about empowering women. We shouldn't be pushed to the side for anything, including sports. We have fought for everyday rights, and I'm dedicated to continuing this fight. I want every female in sports to know that they deserve to be there. Women are beginning to have a large presence and I am happy to be a part of it all." 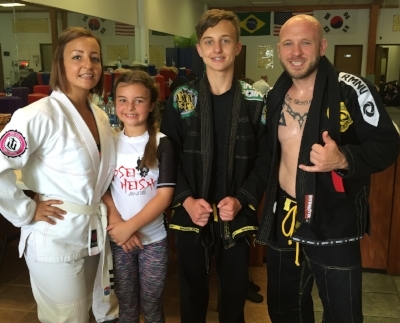 Leeann never expected herself to compete in BJJ; she was a national champion for Tang Soo Do and had believed herself to be content with that. However, as her academy also taught JiuJitsu and she grew beyond doing the sport for purely self-defense, she found herself addicted to training. "I love the sport aspect of it all," she said, "And the more I researched, the more I found other women I could look up to. 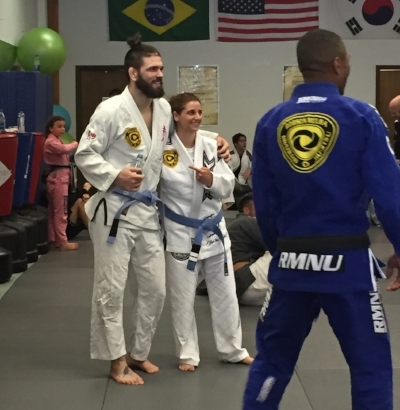 Angelica Galvao is my BJJ idol--she's a wife, mother, and world champ. Really, how much more badass could one woman get?" 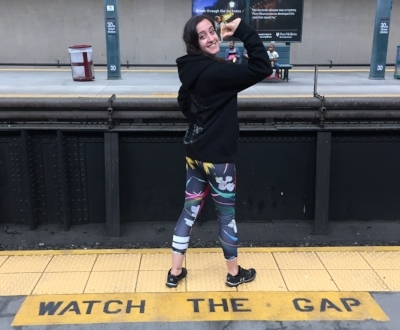 Morris became interested in finding a way to connect other JiuJitsu women together and having them support each other. 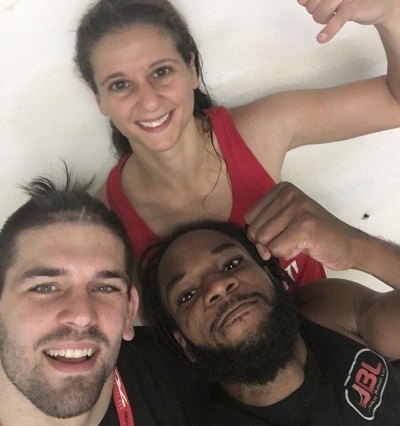 The same way she looked up to Galvao, she thought it would be great for ladies to find role models and friends within the rapidly growing community of female JiuJitsu practitioners. "It's incredibly important for females to be recognized. Our lives can be challenging, because many of us juggle so much--being a wife, a mother, a student, running a career, all the while making the time to train and better ourselves as a person and an athlete. Occasionally, we can be held back and that is so discouraging. Having a community of women to encourage you to keep going is a critical aspect of it, and Josei Heishi women really will never let you give up. The challenges will always continue, but you will be supported no matter what." It was with that idea that Josei Heishi was born. Only active since April 2016, the movement boasts ambassadors from several states and Canada. Age isn't a factor either, with individuals in the movement being as young as seven years old. Leeann doesn't care what team, affiliate, rank, or belt someone is--the purpose of being an ambassador is to not only recognize the athlete for their contributions to the sport, but to encourage, inspire, and motivate what it means to be a female soldier of JiuJitsu. All the women involved empower one another and make their goals happen. "At my academy, I am so lucky and grateful to have amazing women who have supported me since day one. They were at the start of all this and I think it's because we understand each other's challenges. That's why we make sure to have morning and night classes, and try to accommodate one another. It's about understanding the perspective of women. There is no ego here and I wouldn't be where I am now without them. You are who you train with." Despite the many benefits of women training JiuJitsu, there are still many men against it. While Leeann's perspective is that women should be respected in sports nonetheless, she has a different take on that notion. "I say, to each their own opinion. 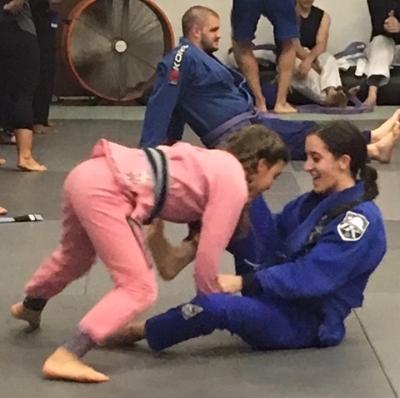 I am not trying to change the minds of those who believe that to be the case, but I will tell you that I love the support fathers have for their JiuJitsu daughters. These men want their daughters to be successful, want them to be empowered, want them to be able to defend themselves. For many of these guys who don't think women should be in BJJ, their mentality often switches as soon as they have a little girl. To be honest, I don't understand those who think women shouldn't be in athletics, JiuJitsu especially. But I'd like to focus more on those men who empower their daughters and their wives. I have a lot of connection with those guys. Someone had their wife become an ambassador because they reached out to me on their behalf. Another had his daughter become one. I commend these men for not being afraid and empowering successful girls and women. I take my hat off to the men who respect the women in their lives." 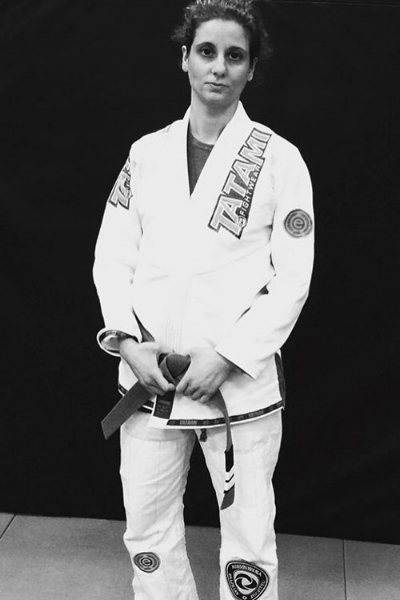 What's next for Josei Heishi Jiu Jitsu? Well, that's what Leeann has been working on. Her intent is to give back to the women in the BJJ community. Currently, she is doing just that. She raffles off prizes and works with her sponsors to provide athletes with the best training gear. Eventually, she would like to have a fully sponsored team and grow the ambassadors. "Women should be supported. So many do so much and give so much, so this is my way of giving back to them. Everyone who is a part of this is acknowledged because they deserve it. They work incredibly hard, and to do a sport like Brazilian JiuJitsu--well, that sure isn't easy. The criteria to be a sponsored athlete doesn't include being someone who wins tournaments or matches. While we celebrate and appreciate that, our focus is to be athletes that are encouraging, positive, supportive, and sharing the message that we need to empower women to do their best. I want to do more to help other foundations, because this work is never done. I succeed when we all succeed." Leeann gives credit to the many involved who helped to make the movement happen. The core team began with members from her school, and continued with individuals such as Valerie Blake from Gameness and the California-based athlete Rose Stratton. They were women who understood what she was trying to do and helped her to put her vision together. Her web designer Blaze, her husband, and all of the men at the academy are just a small portion of the males who are a hundred percent behind Josei Heishi. Morris now has so many ambassadors in different states and sees the movement continually growing. As is the case with Leeann, every aspect of the organization goes beyond herself. The event that we were there attending was to raise funds for childhood cancer research and the families affected by it. 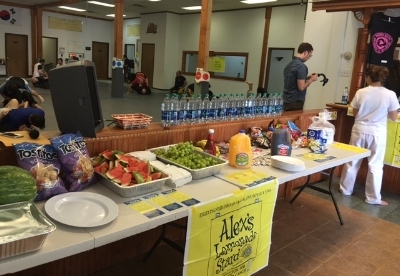 She had been partnering with Alex's Lemonade Stand for the last several years, and it hit close to home--beyond the fundraising Leeann had done prior to becoming a part of Alex's, one of her student's daughters was a Hero and they personally saw how much the foundation helped her. Alex's Lemonade Stand started when a young girl, Alex, was diagnosed with cancer. Her dream was to make one little lemonade stand become huge. After the child's unfortunate passing, her parents created the organization in her honor and as a means to help other families in the same situation. Morris says, "All the money goes exactly where it should go and truly benefits these individuals. I can definitely attest to that. There are so many negative things in this world, that if there is one thing I can do to make people smile, this is it." Beyond being a badass female athlete, a loving mother, a wonderful wife, an encouraging teacher, a business owner, and a humanitarian, Leeann is also a mentor and friend to many. It was easy to see why my teammates were attracted to Josei Heishi and what the movement has represented and built. "My advice to other female athletes is this: women are resilient. They don't stop. They are hard-working. I'll take a quote that I always liked from a dear friend, and it is, 'You don't get to quit. You haven't earned your way out.' You have to work and give it everything you've got until you're exhausted or you've attained it. Simple as that." For a woman who has executed so much, it's simple indeed. Follow the Josei Heishi movement on Instagram at @josei_heishi_jiujitsu. To keep up with Leeann and everything else that she is working on, find her here at @warrior_women_of_jiujitsu.